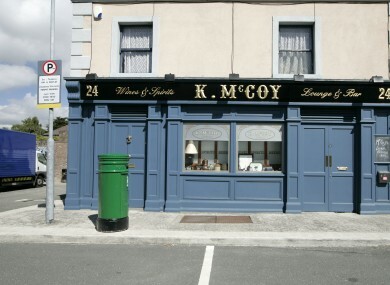 The set of Fair City. A SENIOR FIGURE in RTÉ, Adrian Lynch, has said that financial difficulties at the station led them to the decision to stop making children’s programmes – and also confirmed Fair City will not be outsourced, despite some media reports. Earlier this week, the public service broadcaster announced that it would stop making inhouse programmes, and would instead outsource vacancies to independent contractors. In a statement, RTÉ said this decision was taken to achieve better “value for money” in a “challenging financial environment” . Speaking on RTÉ’s Drivetime today, channel controller for RTÉ One and RTÉ2 Adrian Lynch said the decision to stop making children’s television programmes was taken because of “acute financial difficulties” at the station, which were augmented by the threat of Brexit. He also said that the organisation had an obligation to outsource €40 million of its production to the independent sector. Earlier this evening, the Trade Union Group (TUG) said that they had made progress in their talks with RTÉ to stop the move, in the acknowledgement that some of the workers’ rights had been breached as unions were not consulted. RTÉ and TUG met today to discuss RTÉ’s decision to transfer of all Young People’s Programming to the independent sector. RTÉ accepted that there has been a breach of the ‘Guiding Principles Agreement’ which commit to prior consultation on significant issues. It has been agreed that union and management will enter into comprehensive discussions on this matter in line with our agreements. Discussions will conclude no later than 31 January 2017. Speaking on Drivetime on this development, Lynch refused to confirm that the move had been suspended until the end of this consultation period (31 January). He said that the previously mentioned financial difficulties and the obligation of the station to outsource remained, despite the outcome of today’s talks. But SIPTU campaigns and equality organiser, Karan O’Loughlin, said that the outcome had “highlighted the value of workers, through their trade unions, securing collective agreements with an employer”. Email “'Financial difficulties' at RTÉ forced children's television cutbacks - but Fair City is safe”. Feedback on “'Financial difficulties' at RTÉ forced children's television cutbacks - but Fair City is safe”.